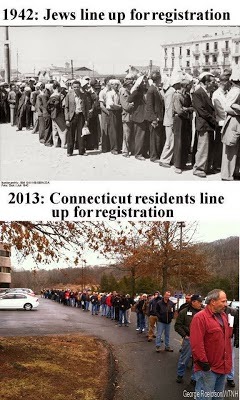 Would you register your guns, if your state government said you will be a felon after a certain date if you did not? I wouldn't. I'd like to think I would fight it, but probably, I would just not live in that state anymore. As Ol' Backwoods has been saying, there is a reckoning coming to America. 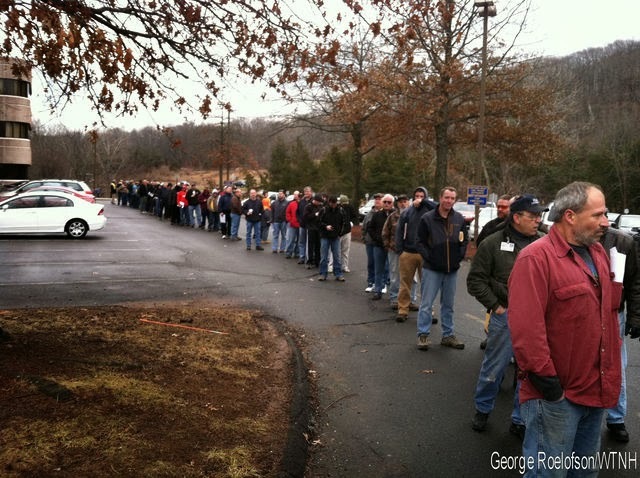 Registration leads to confiscation. Always has, always will. Take a good look at the picture, Patriots. This is Obama's America. 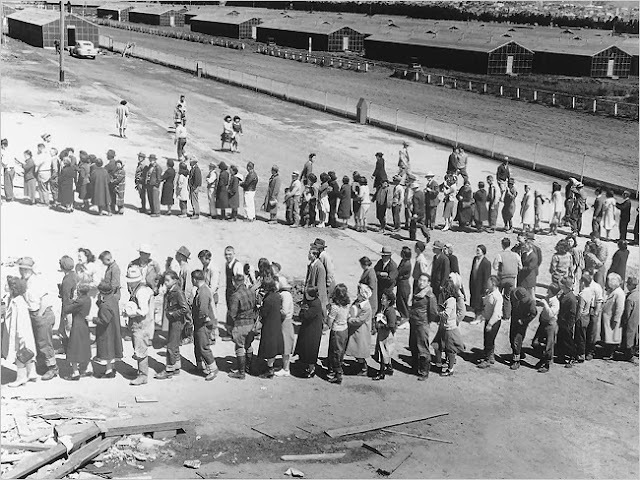 Our friend Miguel at GunFreeZone.net reminds us about another variety of American Sheep: the Americans of Japanese decent that Roosevelt put in "internment" camps "for their own protection." Read about this in school? I bet you didn't. Think rounding up citizens, disarming them, and marching them off to concentration camps can't happen in America, sheep? IT ALREADY DID. Americans of Japanese Descent Line Up to enter Concentration Camps, May 4, 1942. Jews (§ 5 of the First Regulations of the German Citizenship Law of 14 November 1935, Reichsgesetzblatt 1, p. 1332) are prohibited from acquiring. Possessing, and carrying firearms and ammunition, as well as truncheons or stabbing weapons. Those now possessing weapons and ammunition are at once to turn them over to the local police authority. The State Trooper agreed with me and stated he “will not enforce this unconstitutional law.” He stated that he “will not register his AR-15, weapons and magazines.” He thinks “Governor Malloy is a joke.” I am withholding his name for his protection. We hit it off as if old friends. I then called Governor Malloy's office at 860-566-4840 and spoke to a staffer who laughed when I told her Governor Malloy was violating the Second Amendment of the US Constitution. I told her that I will now travel frequently through Connecticut and I will not register my weapons when I do. I then told her if Governor Malloy wants my weapons he can come and get them himself. She promptly hung up. I sent an email to Governor Malloy's office. I am also writing a letter to the Commander of the Connecticut State Police, Colonel Danny R. Stebbins, asking him if he will comply with this law or the US Constitution. A copy of the letter will be sent to Governor Malloy. Stay tuned for their replies. "Juden! You must turn in guns, bitte!" Some of us will not comply.